Review: Its been a while since I’ve really read any PNR with werewolves and I found that I liked the historical setting with the PNR theme. It was something different (at least to me). One thing I enjoyed about the story was how the author just let little bits of backstory slip at a time and not just data-dumped. The romance was sweet with a touch of steam and I look forward to reading more books in the series when I get a chance. I gave A Certain Wolfish Charm 3 stars, but will be continuing the series. Review: To say that I was disappointed in this book is an understatement. I remember a few years ago when I read books 1-3 in the series, I really enjoyed them and had high expectations for this once, because it was supposed to tie up the story ARC that had appeared in the previous 3. But it just felt like the author dialed this one it – the writing felt chunky, and didn’t flow well; the relationship between Tracker and Ari was blech and overall, just a let down. I’m undecided if I’ll continue the series or not – I know that I have book 6 somewhere on Mt TBR (and that would fit this challenge perfectly), but I guess time will tell. What about you – Did you read any books off your TBR pile this week? I had completely forgotten that I had purchased this book back in 2010 until I saw a discussion on Facebook about the last book in the series being released. I was intrigued by the discussion, so I went to see how the series started and saw that the first book had been lost in Mt Purchased-But-Not-Read. I’m guessing that I purchased it when I went through my vampire phase a few years ago, but got burnt out on the genre before I could actually read it. Overall, I enjoyed How to Marry a Millionaire Vamp – I thought it was a bit of a different take on the whole vampire tale and the added element of a vampire needing a dentist made me chuckle. In general, I found that the book moved at a decent pace and there weren’t many areas that lagged, so it surprises me that I waited so long to read it. In the end, I gave it 3 stars, but I was intrigued enough by the world building that I may look at later books in the series in the future. I don’t know about everyone out there in bloglandia, but when I bought my first kindle in 2008 (yes, I’ve had one since almost inception), I went mad one-clicking on freebies (which I still do to an extent) and buying lots of books. Fast forward to 2015 (7.5ish years later) and I have a virtual TBR pile that likely resembles Mt Everest. At last count, my amazon account teetered somewhere in the 5000 book range (and that isn’t including books I bought from other ebook retailers etc). I realized the severity of this problem when an author friend on Facebook posted an advertisement for a new book by an author she likes and in my digging I realized that I had not 1 but 2 books by her that I had bought back in 2012 and never read. So I need to do something about my “problem”. 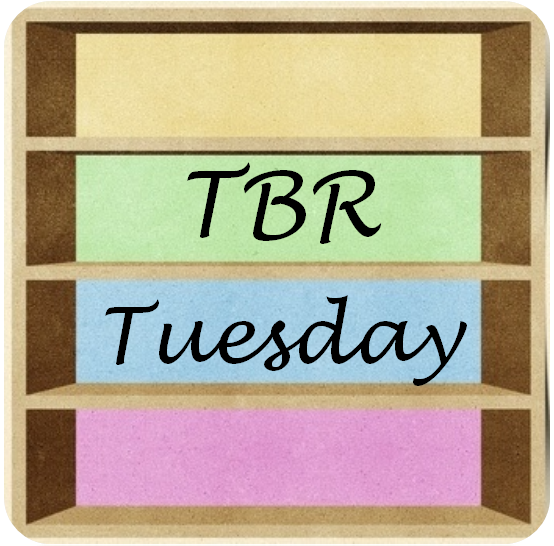 The goal of TBR Tuesday will be to post short reviews of books that have been on my TBR pile for more than a year. This year date will be rolling (so for March 2015, any book purchased prior to March 1, 2014 will be game; for April, any book purchased prior to April 1, 2014 will be game etc).